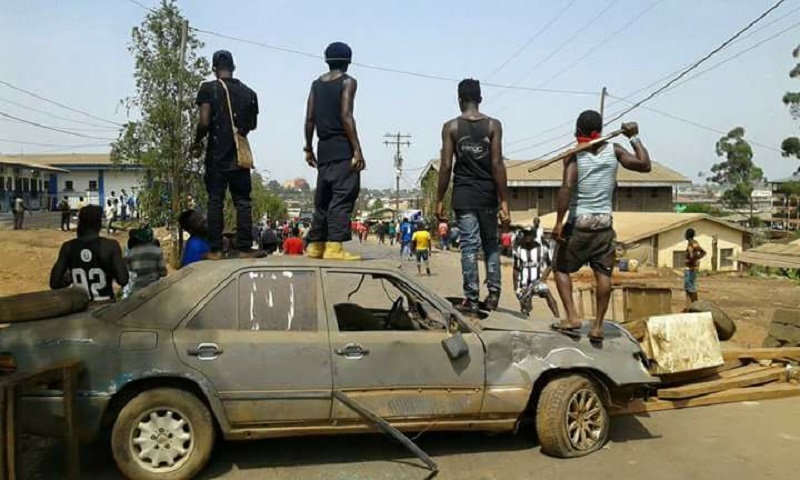 Bamenda today: Boys defy Biya’s military men. Ready for any outcome. Comment: The world has seen and it is now on record, the brutal and inhumane treatment of citizens of the State of British Southern Cameroons, by forces under the command of the govt of French Cameroun. What happens to the women and children when armed govt troops with no moral compass are sent into the living space of citizens who have no arms? That is a question that the internet blackout cannot answer. The Restoration of the State of British Southern Cameroons is a Task that Will be Done. Brutishness has its limits. We shall overcome it sooner than they the CPDM criminals think.